burial team from the Health Department in the city of Buchanan, located in Grand Bassa County, in the West African country of Liberia. These men were on their way to a village, in order to perform a safe burial. Despite the day’s scorching heat, all four were dressed in a full complement of personal protective equipment (PPE). Burial teams offer safe and dignified burials, with respect paid to local religious, and cultural sensitivities. 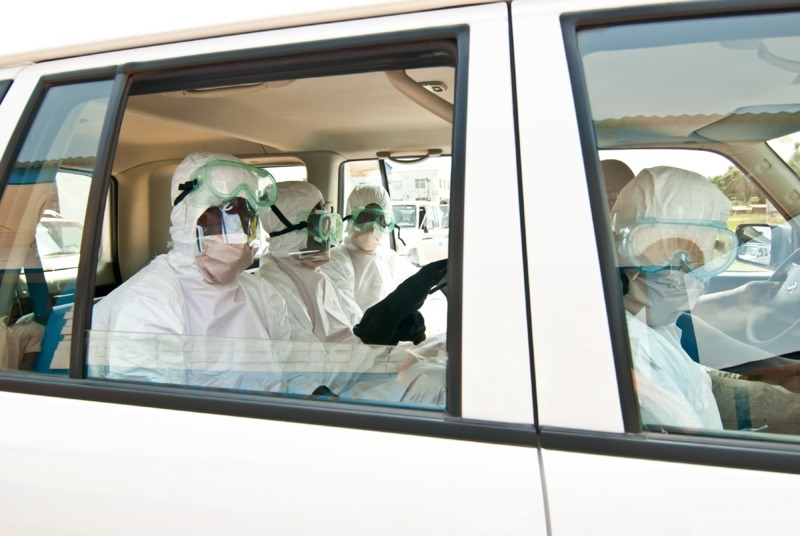 Umid Sharapov , “Burial Team,” The Global Health Chronicles, accessed April 20, 2019, https://globalhealthchronicles.org/items/show/7756.